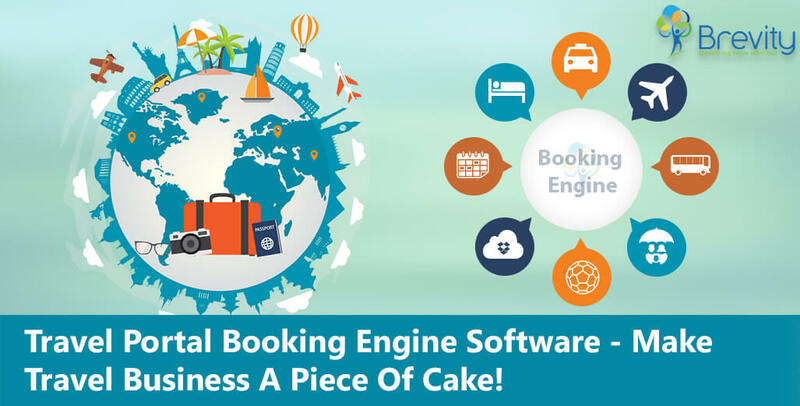 Travel Portal Booking Engine Software – Make travel business a piece of cake! With fierce competitors in the travel industry, only those who act sharp and clever survive. Those who choose to go online, are enchained to have an active travel portal booking software for greater and longer business practice in the travel industry. Nowadays, the inclination of online bookings and searching information on the internet is becoming conspicuous. Travel portal development straightaway enables everything on clicks of the mouse, at the same place and this is what is taken into the aspect for travel portal development. Travel and tour business is in its blooming era. A great number of people are all the time on the hunt for handsome flight deals and travel packages and this is one big reason why travel agents prefer an online travel portal. Travel portal development successfully perceives the forthcoming kind of features such as hotel accommodation, road and air transportation, tour packages, and other services. That makes your business grow in the tours and travel industry. It can provide a major turn around customers ratio. As we talk about Travel Portal Development, that enables customers to rest assured that they are keeping an eye on the precise merchandise and the right monetary value to be included in their itinerary. Go on the portal, filter your preferences, check out photos, locations, facilities provides and prices. Few clicks and you’re on the go! An easy-to-operate and slick Tourism Portal Development creates a long-lasting kinship that makes you feel that you do not only care about your customers but also help them to know more and grow.